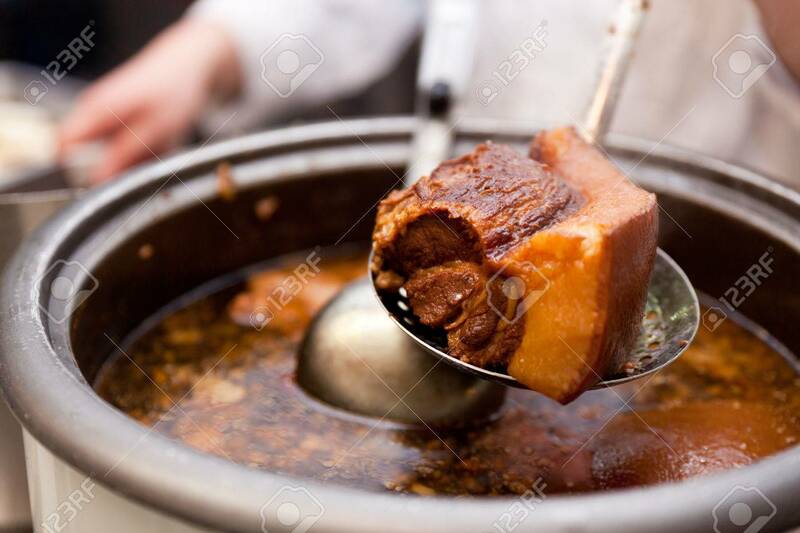 Pork Belly Caramelised And Braised In Soy Sauce With Star Anise,.. Stock Photo, Picture And Royalty Free Image. Image 31442204. Stock Photo - Pork belly caramelised and braised in soy sauce with star anise, cinnamon and chilies inside a steamed bun (he yeh bao - 荷葉包). Pork belly caramelised and braised in soy sauce with star anise, cinnamon and chilies inside a steamed bun (he yeh bao - 荷葉包).